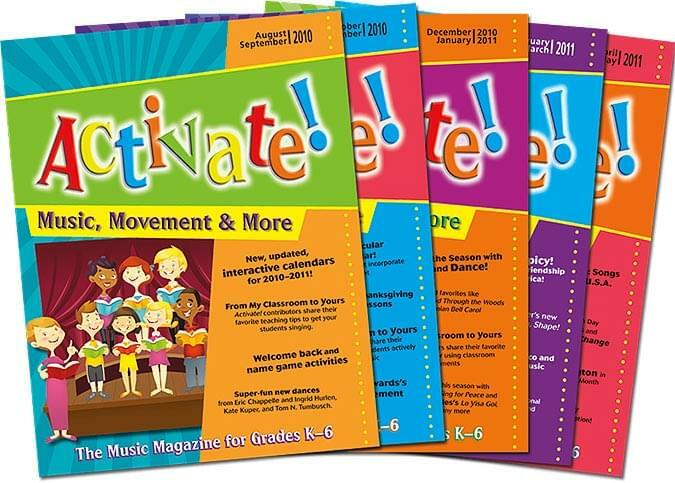 Activate your students to love music, learn by doing, and be excited about education with the many wonderful activities in these collections designed for educators working with elementary students. Featuring songs, lessons, and REPRODUCIBLE activities by leading music experts, such as Artie Almeida, Patricia Bourne, Mark Burrows, Eric Chappelle, Donna Dirksing, Doug Edwards, Denise Gagné, Greg Gilpin, Brian Hiller and Don Dupont, Jeff Kriske and Randy DeLelles, and Kate Kuper, "Activate!" is an all-you-need resource for the K-6 classroom teacher. Each compilation includes lesson plans and a CD with numerous complementary recordings. Cross-curricular opportunities are frequently provided, the National Standards for Music Education are always referenced, and all student pages are reproducible!